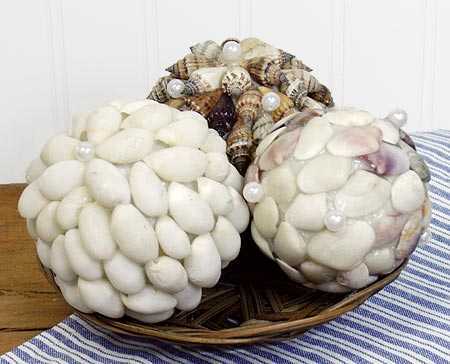 Decorative Seashell Balls – Jengadi Jean Co.
Don’t know what to do with all of those sea shells you collected as a kid (or adult)? 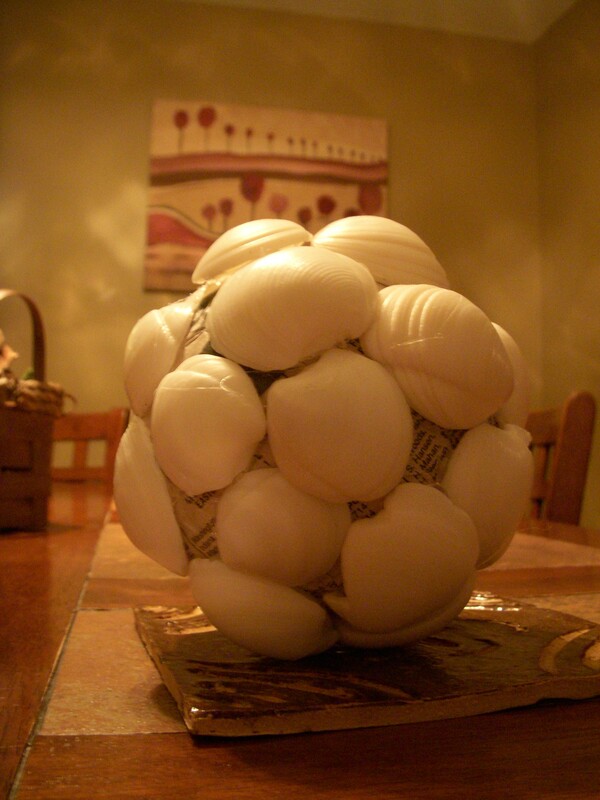 Make decorative seashell balls or ornaments! The process is super easy (and quick) and has the potential to be cost free. You, of course, can always purchase them (see above link) for a reasonable price. 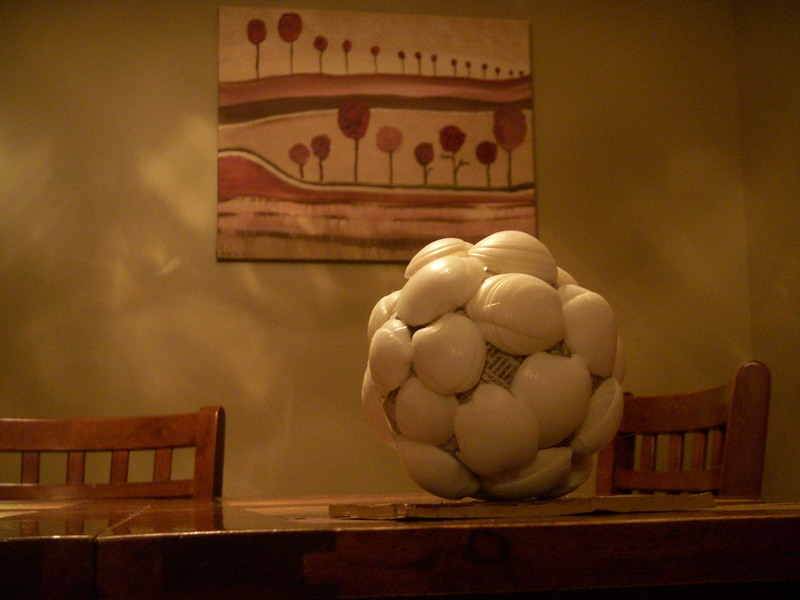 Allow to completely dry before moving onto making your decorative balls! Yes. It is just that simple. If you want to add some sparkle or modernize your organic decorations, add spray paint of choice. 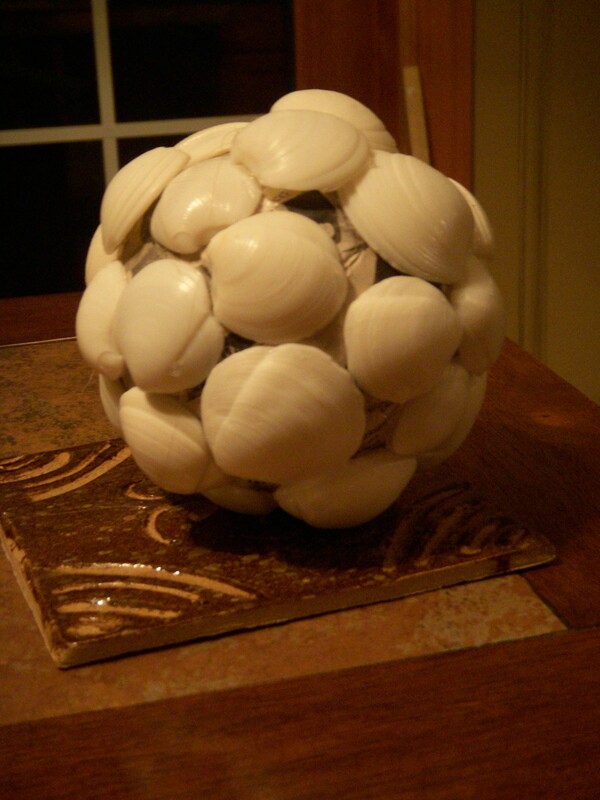 Below are some quick pix of my most recent seashell ball. I love the natural vibe and how you can see newsprint though it. I now feel justified by the amount of seashells I have collected (and made my friends collect) over the years. All those times I wanted to take a walk in FL paid off didn’t Quad? Let’s se if the Quad understands the reference. That’s it for now. Please, share with me: Have you done this? How many rooms in your house now have these fun things?